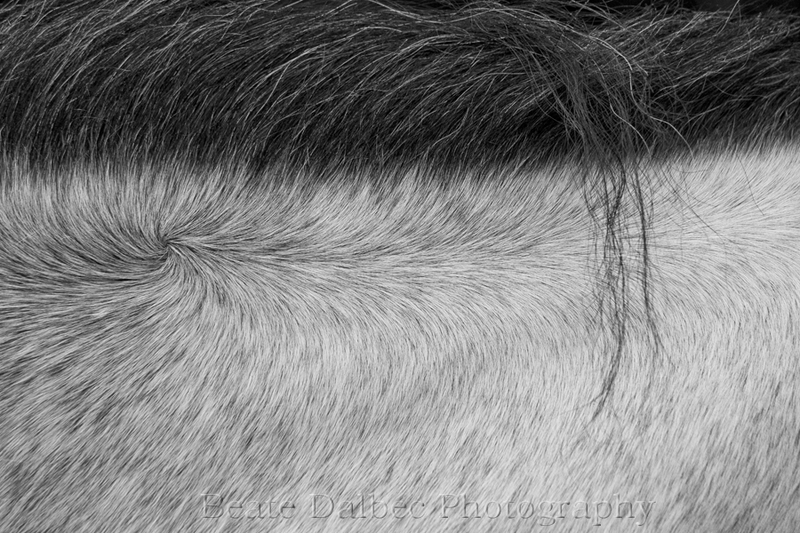 In any kind of photography, be it landscape or like in this case equine photography, I like to find interesting details. In this image everything just seemed to come together for me. I liked the contrast of the light coat and the dark mane, the whorl which seemed to be continued through the mane and into the individual strand of hair. Oh, this is fantastic. Saw Sabrina’s tweet, and so glad I clicked through.